Please note that we no longer sell the CE4 clearomizer. We now stock the upgraded Aspire CE5-S Clearomizer with replaceable coils, which are a more cost effective, higher quality tank with great performance, for use with ego vape pen batteries and kits. 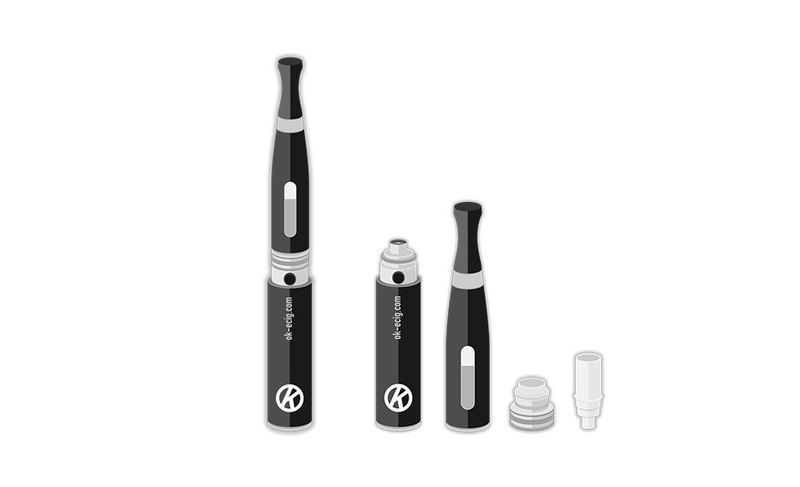 Please click here for our guide to using and maintaining a CE5-S Clearomizer. If you want to change to a new e-liquid, you may want to clean your clearomiser so that the new flavour isn’t tainted by your previous one. To do this, remove the clearomiser from the battery and unscrew the mouthpiece (remember to keep the rubber seal safe). Put a few drops of hot (not boiling) water into the top of the tank, seal the top with your finger and shake it a few times to swill the water around and then shake the water out. Repeat this a couple of times as required. It is best to only clean your clearomiser if you have a spare or will not need to use it for some time as you will need to leave it to dry for at least 24 hours. Leave it to dry standing upside-down on some tissue paper so that any excess water will work its way out. If your clearomiser isn’t fully dry you may find it hard to vape with as water will not vaporise as well as e-liquid will. After cleaning, leave your clearomizer overnight in a sealed container of rice. The rice will absorb the moisture and speed up the drying time.